The data of the Bank of Greece show that the exposure of Greek banks to non-performing loans (NPLs) amounts to 81.8bn euros, which is 45.4 percent of the total aggregate value of all loans. 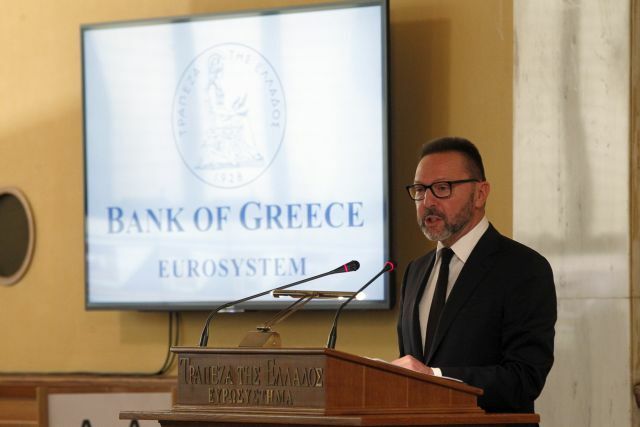 Bank of Greece Governor Yannis Stournaras announced today that the central bank expects a growth rate of 1.9 percent, lower than earlier projections. A Bank of Greece interim report issued in December, 2018, regarding the course of the Greek economy projected a growth rate of 2.3 percent for 2019, but three days later the central bank revised its projection downward as Hellenic Statistical Authority data showed that the growth rate was 1.9 percent in 2018. 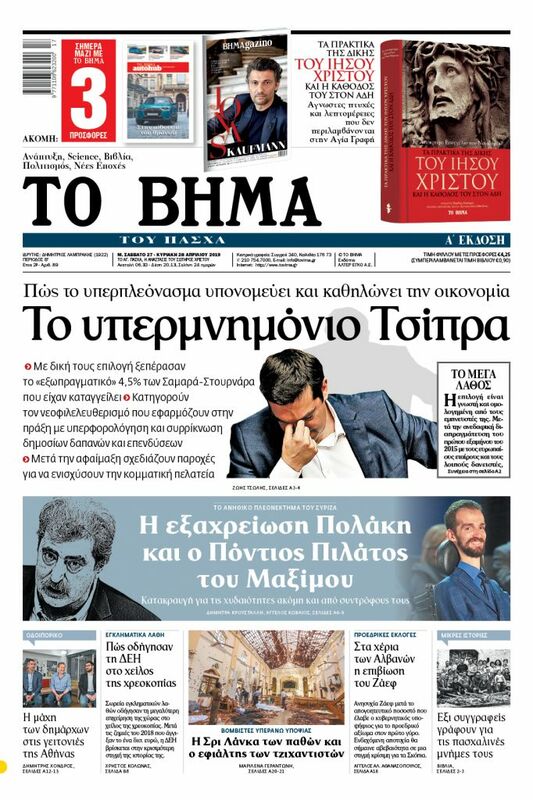 The first signals about the course of the Greek and the European economy are not encouraging. The 2019 Greek state budget projected a 2.5 percent growth rate for 2019. The European Commission’s winter projection was a 2.2 percent growth rate for this year. The Bank of Greece rang the alarm bells over the danger of fiscal derailment due to Greece’s Council of State rulings which deemed unconstitutional earlier pension cuts and the abolition of holiday bonuses. The report noted that as the electoral cycle proceeds there are greater dangers of a loosening up of reform efforts and of fiscal discipline, aggravating economic uncertainty. “There is a present danger of reversing the important progress that has been achieved to date,” the report said. The data of the Bank of Greece show that the exposure of Greek banks to non-performing loans (NPLs) amounts to 81.8bn euros, which is 45.4 percent of the total aggregate value of all loans at the end of December. The report also underlines that the new framework of protecting debtors’ primary residence is a step toward re-linking Greece to the markets.